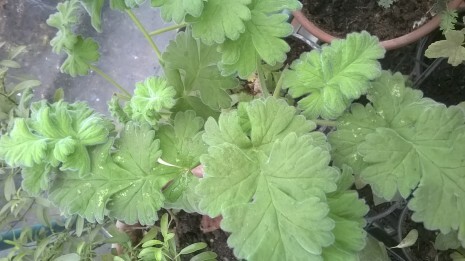 After five years of growing and propagating Pelargoniums I still cannot identify each variety we stock by its flower. There are some obviously differences and some are exquisitely distinct in their features but I still feel much more confident when presented with a leaf to name rather than any flower. 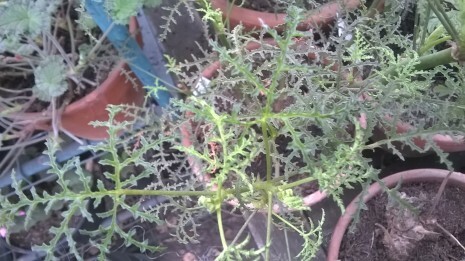 This could be due to many years of overwintering Woottens collection, painstakingly removing every leaf in the winter and revisiting each plant every week to check for Botrytis or death. 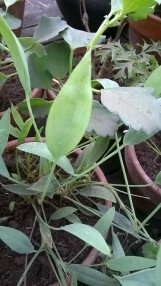 No sooner have you worked your way around the collection of 500+ plants that a week has passed and you start again. It is often said that a job in horticulture is always about the passion rather than the money! But my knowledge of leaf identification is also down to working with a genus that gives us the largest foliage diversity in the plant world. 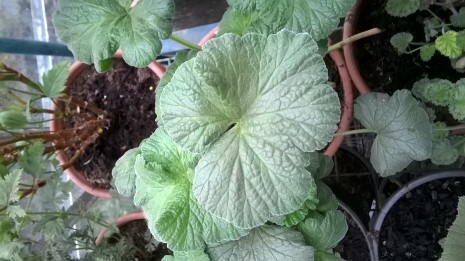 Some have petite silver round leaves, some are huge and furry. 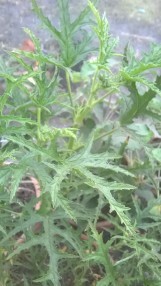 Others are sword shaped or spiky or even fern like. Even in the ‘regal’ group there are clear differences. P. Bush Fire has large thick robust regal leaves whereas P. Lord Bute’s leaves are neatly formed, small slightly pointed. Below are a few examples of the different foliage in my own collection. Pelargoniums are still underappreciated as a garden plant. Their blousey family members often stealing the limelight and giving their gracious cousins a bad name. This origin of this genus is not about the flower, its all in the leaves.